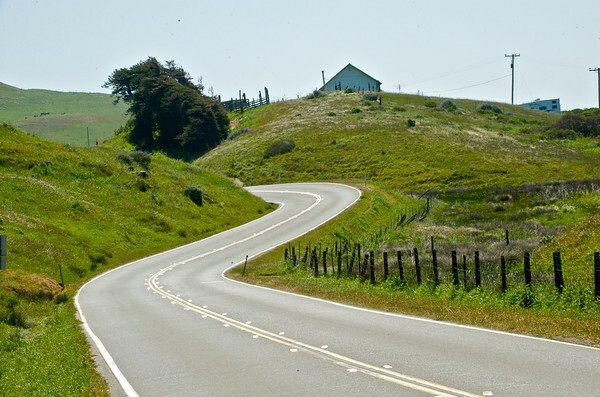 Go north, across the Golden Gate Bridge, past the sleepy coastal pastures, and over the winding roads that lead to the magical town of Mendocino. There, tucked between the crashing waves of the Pacific Ocean and the silent giant redwood forest, you’ll find a small slice of heaven. Mendocino is a rugged place where time stands still and devices like cell phones and Internet access are rarely used. This is great news for those who want to disconnect from civilization and reconnect with nature. Unlike many remote towns that are perched on the jagged cliffs of Northern California, Mendocino has plenty of options when it comes to dining, sleeping, and adventuring. Mendocino has an impressive wine region and 25% of its vineyards are Certified Organic. Mendocino wine country leads the country in “green wine” production, which mean less toxins in your glass of vino. The region is best known for its full-bodied Pinot Noirs and light sparkling wines. On highway 128, numerous wineries line the valley. There are big names like Roederer and Scharffenberger, but the real gems are tucked away on gravel roads, behind big oak trees. Lula Cellars in one of those special places. Chances are you’ll get to meet the award-winning wine maker when you visit the property. Jeff Hansen, winemaker for Lula Cellars, brings nearly 30 years of grape growing and winemaking experience to the brand. Jeff’s handcrafted, limited production Mendocino Coast Pinot Noir, along with Zinfandel, Dry Gewurztraminer, Pinot Gris and Rosato (Rosé of Pinot Noir) reveal the passion he has for producing world class wines. You can read all about the valley and Jeff in this great Wall Street Journal article. For those who enjoy remarkable sunsets while cozying up in front of an open fireplace, followed by ahot Jacuzzi bath, then The Little River Inn is the place to go. It is two miles south of Mendocino village and has fabulous bar and restaurant with both incredible views of the ocean and delicious seafood. Five star chef Marc Dym was named Executive Chef at Little River Inn in 2006, after Marc and Cally (who is the fifth-generation Innkeeper) were married. Dym brings a modern twist to the classic American-regional cuisine of Little River Inn, garnering high Zagat ratings, including the Top Food Ranking for the entire country in 2012. Make sure to try his Billionaire Bacon and Clam Chowder! A trip to Mendocino would not be complete without a peaceful walk through the Mendocino Botanical Gardens. The Mendocino Coast Botanical Gardens are nestled on 47 acres in Fort Bragg, just 10 minutes north of Mendocino. The gardens host special events and classes throughout the year and there is something special always in bloom. The garden property includes canyons, wetlands, coastal bluffs, and a closed-cone pine forest. The gardens are children and pet friendly, so bring a picnic and let the kids and dog enjoy a day in the beautiful, lush gardens. So much to explore!